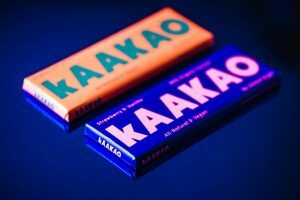 Confectioners are closely monitoring the growing legalisation of marijuana across the USA and Canada, offering them the opportunity to develop new products with an special, edgy ingredient. The new Liberal government in Canada was elected in October 2015 on a promise to legalise marijuana, while in the US, the transition is happening state by state. Early experience in the states of Colorado and Washington, both of which have reported huge tax receipt increases following their legalisation of cannabis for both medicinal and recreational purposes, have lessened American opposition to legalisation. As we go to press, some 24 states (and the federal District of Columbia) have passed legislation permitting marijuana to be consumed for medical or adult-recreational use. While the drug remains largely illegal at present, it is difficult to measure the money made from cannabis throughout the US, although reliable estimates have placed the total spend on cannabis (both legal and illegal) at around $70 billion annually. Legalised marijuana revenues are expected to generate about $10 billion this year. 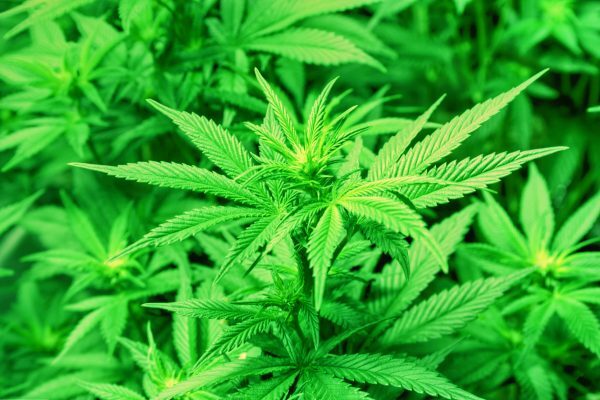 By 2020, assuming that year were to mark the complete end to prohibition, this figure would ramp up to nearly $35 billion, according to estimates compiled by GreenWave Advisors, a New York-based consultancy; 50 per cent would still be black market at that point. And not all of this money is going up in smoke. An increasing number of marijuana consumers are choosing to eat rather than smoke this drug. A legal market for cannabis-based food products is expected to generate $1.6 billion US-wide this year (2016) and more than $10bn by 2019, according to GreenWave. Compare this to the approximately $35bn American consumers spent on less elevating confectionery products in 2015, according to the National Confectioners Association, and the opportunity for the confectionery sector is clear. Based on the early experience of Colorado, which in 2014 became the first state to legalise marijuana for both medicinal and recreational pursuits, an increasing number of these new legal candy consumers may be new to cannabis consumption, either for reasons of discretion or because they had been reluctant to begin a smoking habit. “Clearly, there are some that purchase edibles that would not consume marijuana otherwise,” says Matt Karnes of GreenWave. But Scarpello, for his part, said that all his confectionery products can legitimately be classified at medical in a practical, albeit maybe not a legal sense. “You had a tough day and you go home and have a glass of wine. Is that therapeutic? 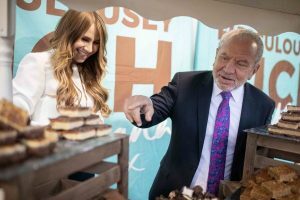 Absolutely.” Scarpello maintains that margins for his business are basically the same as in the more conventional confectioneries. “It costs us a little more to make it but we get to charge more,” he says. The pressure on profits, according to Scarpello and other industry professionals, comes not from the actual operating costs incurred in manufacturing but in the tax and other hurdles that come from US government policy. On the state level, licensing regulations vary from Colorado’s strict statewide regime to what Scarpello calls the ‘Wild West’ atmosphere prevailing in California, which has legal medical use but leaves regulation largely to local governments, a setup which has dissuaded Medically Correct and Dixie Elixirs and many other cultivators and confectioners from doing large-scale business there. In addition to the patchwork of conflicting prohibitions and licensing rules seen among the individual US states, the US federal government imposes major costs and operational hurdles on cannabis confectioners. It still considers marijuana a Class I controlled drug (with no redeeming medical value), effectively denying cannabis entrepreneurs access to banking and other financial services and forcing them to operate using large sums of cash and making it difficult to obtain leases and other long-term arrangements conducive to business stability. Also, because of this classification, according to the National Cannabis Industry Association, under the tax code, as currently written, state-legal cannabis cultivators and dispensaries cannot take ordinary business expense deductions and so wind up paying effective tax rates of 50 to 85 per cent. But, as attitudes toward marijuana relax in the US, analysts are convinced that it is only a matter of time before major US companies jump on the bandwagon, a move which conventional confectionery industry groups deny: “No we are not,” was the only comment forthcoming from a Hershey’s spokesperson contacted by Confectionery Production. No full legalisation date has yet been set, but “if the government is smart, legalisation will happen in months, not years, so that by the time voters go to the polls again, the economic benefits of cannabis legalisation will be evident,” said Jones. Tweed Inc, a medical marijuana producer located in Smiths Falls, Ontario, has begun producing and selling cannabis oil, and will soon sell baking kits to go with it. Jordan Sinclair, communications manager at Tweed, says the facility will not bake the goods in-house, but the kits will come with everything required to make baked goods such as brownies, cupcakes and muffins, with the correct dosage of cannabis oil. “Right now, licensed suppliers still can’t produce an edible cannabis product, but that doesn’t mean we can’t sell ingredients that would make those products,” explains Sinclair. He mentions that in Colorado, where marijuana was legalised for recreational use in 2012, 40 per cent of products sold are infused products, which includes edibles, drinks, baked goods, etc. “We think that the Canadian market would show the same demands as Colorado. 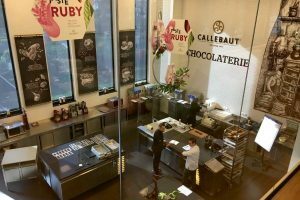 We’re operating in an old Hershey’s factory too, so I think making chocolate confectionery is in the walls of this facility and it’s just a matter of time before that happens again, with a twist,” Sinclair adds. Products sold by facilities such as Tweed are currently regulated by the Canadian health ministry, Health Canada. If and when marijuana becomes fully legal in Canada, Jones says this is likely to continue. Paul Hetherington, president and CEO of the Baking Association of Canada (BAC), says the group has no say in the regulations or guidelines of making confectionery marijuana products, and has not considered future possibilities.